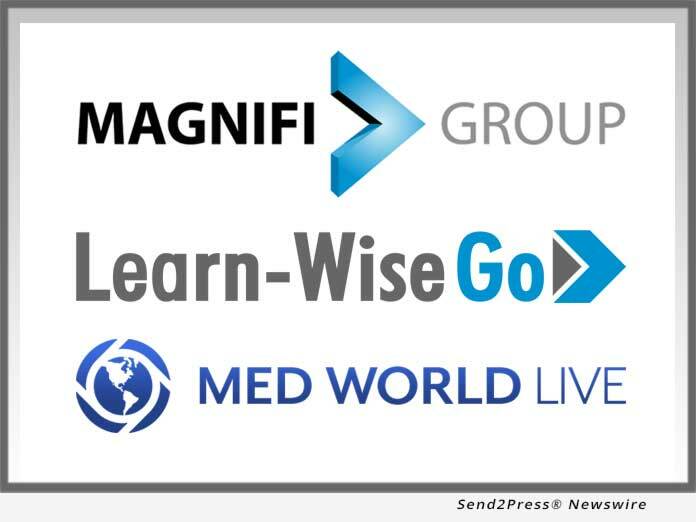 (SAN DIEGO, Calif.) -- NEWS: Magnifi Group, Inc. has announced the release of an Application Program Interface (API) between its eLearning Learn-WiseGo platform and the Med World Live video delivery platform. This integration allows authorized sales trainees to view Med World Live videos directly in their Learn-WiseGo content library. The integration was developed on behalf of Lima USA - a leading orthopedic implant manufacturer. Paige Otto, Marketing Support Coordinator for Lima, said the integration allows Lima to display its surgical videos directly through the Learn-WiseGo platform. "Our surgical videos, created using Med World Live's proprietary multi-angle technology, offer our sales trainees a real-life opportunity to engage with the content," Otto said. "Our sales team now has a single point of access to view all their educational materials." Andrew Wolpe, President and COO of Magnifi, said that this is the first content integration of its kind deployed within Learn-WiseGo. "We have always prided ourselves on meeting and exceeding our clients' expectations," Wolpe said. "Lima needed to simplify its team's ability to access the company's educational materials; consequently we engaged with Med World Live and worked together to bring this requirement to life." Anne Smith, Vice President of Operations and Account Management at Med World Live, said she believes the API with Lima will be the first of many additional joint technological initiatives between Magnifi Group and Med World Live. "We have clients in common and this application will be appealing to all of them," Smith said. LimaCorporate is a global medical device company providing reconstructive Orthopaedic solutions to surgeons who face the challenges of improving the quality of life of their patients. Based in Italy, LimaCorporate is committed to the development of innovative products and procedures to enable surgeons to select ideal solution for every individual patient. LimaCorporate's product range includes large joint revision and primary implants and complete extremities solutions including fixation. Med World Live was founded in 2011 and offers a cloud-based SaaS platform that provides an innovative video and document repository for a dynamic learning experience. The Med World Live portal streams up to four camera angles simultaneously to capture every aspect of a product, procedure or technique and puts the user in the driver's seat. Each video is accompanied by supporting materials, ensuring access to not only the visual demonstration, but also relevant documentation and resources. This interactive, multi-sensory environment increases user engagement and improves information retention. Our mobile applications provide online and offline access arming field sales teams with a sales-enabling tool and value-add for their customers. Med World Live's platform improves the way companies deliver information. Our solutions are designed to get the right content to the right people-right when they need it; empowering device companies, healthcare systems and value analysis committees to make better use of their resources and improve performance, across the board. Magnifi Group is a developer of dynamic online training solutions for leading global corporations. The company was founded in 2002 and has offices in San Diego, California and Wiesbaden, Germany. Magnifi's primary solutions are Learn-WiseGo - a LMS for corporate training and the IEP Courses for Fellows and Young Surgeons. The recently released and greatly enhanced Learn-WiseGo platform has reaffirmed Magnifi Group's position as a leading solutions provider to the Medical Device industry and is providing the impetus for rapid growth within the Food Safety, Youth and Student Travel, and Industrial Equipment industries.